Now more than ever the value of local SEO is a vital part of a business’ survival. Having that local presence on the web means that people who find your site can be turned into customers, leads, sales, long term allies and more. Getting the right advice on how to maximize your local SEO means following some common sense steps and some tech savvy ones and hopefully the following ones will be of some value. First of all don’t hesitate. Get your business’ website up and running right away. Make sure it is easy to understand, is pleasing to the eye, has all valuable pertinent information and can grab the attention of surfers looking for what you have to offer. Don’t waste time with all the bells and whistles of one of those cookie cutter websites, you don’t need tons of wild animation or dancing people in funny costumes. Yo need to have a bare bones site at first with your logo, perhaps a color scheme and links to all important data like location, name, address, telephone. Once your basic site is there with well written copy and easy to see graphics and links, You’ll want to upgrade gradually but only based on results and suggestions from professionals or other successful people. This will ensure you’re not rushing into things and messing up something that is successful. Take it slow and look for the right positive data such as traffic, sales, communications. To move a bit further you will need a blog associated with the site. A blog should not be underestimated as it’s a way for the consumer to see what you’re up to. Regular blog posts with pictures and new info will have others coming back and rank you higher in the search engines. Today’s blogs can display all sorts of media too. Maybe some video of your new products or customers having used your products will be just the right attention getter. Then you’ll need to make sure your site is mobile and tablet friendly for local SEO. In the site and blog you’ll need to add local names, terms, landmarks, pictures, video too. People searching for them will be led to your site and you’ve got more valuable exposure. These little techniques add up to a lot in the short and long term. Do not underestimate the power of social networking when it comes to local SEO. One of the most powerful of website traffic comes from social networking. Facebook, Reddit, Twitter, and dozens of others should be incorporated in your local SEO strategy. These networks are visited by people living and working near you and from those now living in other areas of the world. When they’re getting homesick or nostalgic, they might just find a post or article or page on these sites that piques their curiosity and the next thing you know you’ve got someone visiting your site, leaving testimonials and comments and building up your brand on a local level which is definitely what you want. 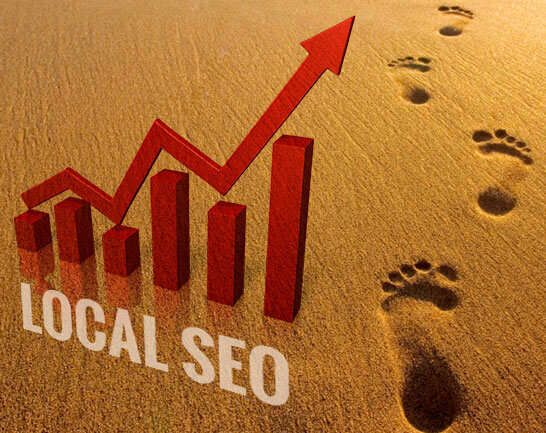 The bottom line here is that local SEO isn’t difficult but it is of paramount importance. Don’t let your local competitors outshine you and beat you to the wallet, pocket book, or purse. This is how business is done nowadays using the web and to neglect local SEO is like cutting off a foot to run a race. Don’t do it.